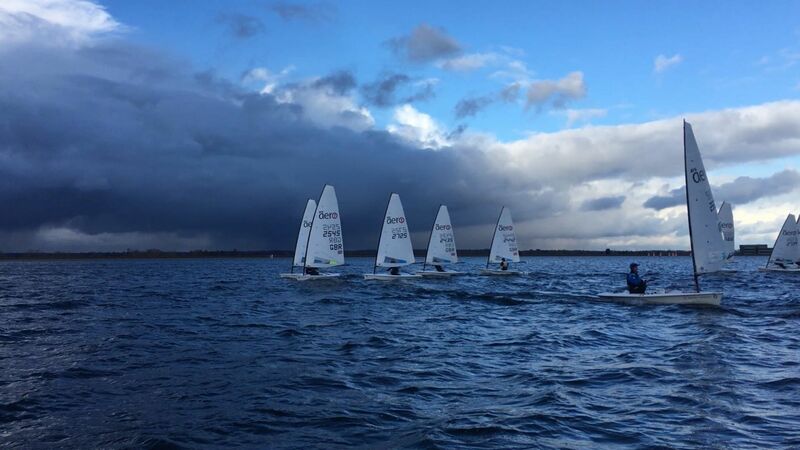 While Storm Erik gripped the nation thirty RS Aero Rooster Youth Team sailors prepared for an exciting weekend of Winter Training at Datchet Water Sailing Club. 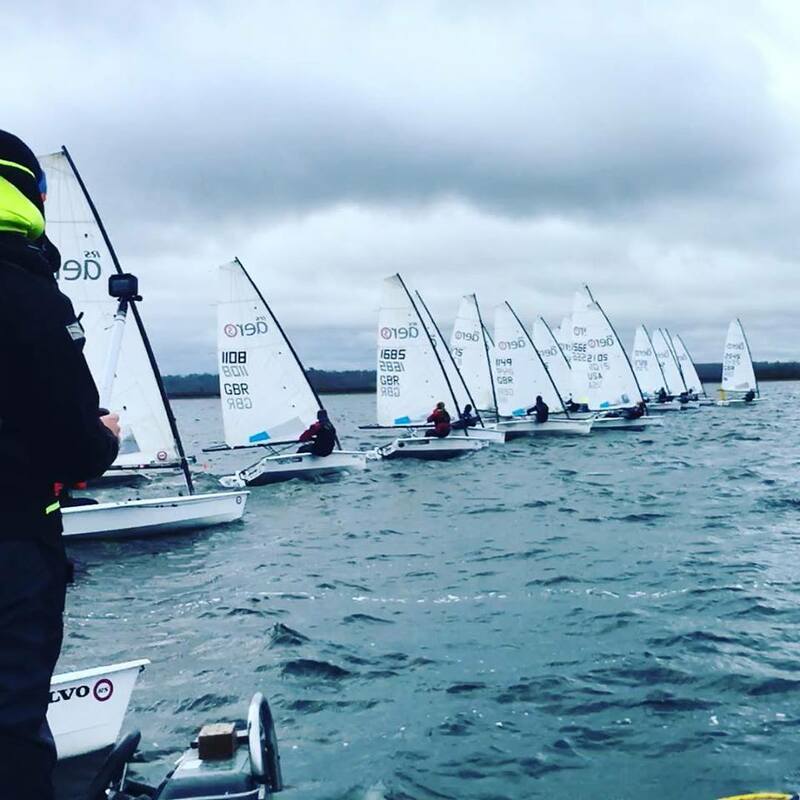 On Saturday morning the conditions didn't look promising with gusts of 35knots; so while we waited for the wind to calm down, we used this opportunity to put Sammy and Noah to work showing us how to 'pimp' the boats out for the coming season. We learnt how to splice and different ways of setting the boat controls. The fitness session run by the coaches was a tough one! It included squats, lunges, plank and the dreaded Bring Sally Up Challenge. The wind finally dropped after lunch and we managed a great session out on the water. Launching was made easier by the massive teamwork and help shown by the whole squad and especially Phoebe's dad who was waist deep in water most of the time. 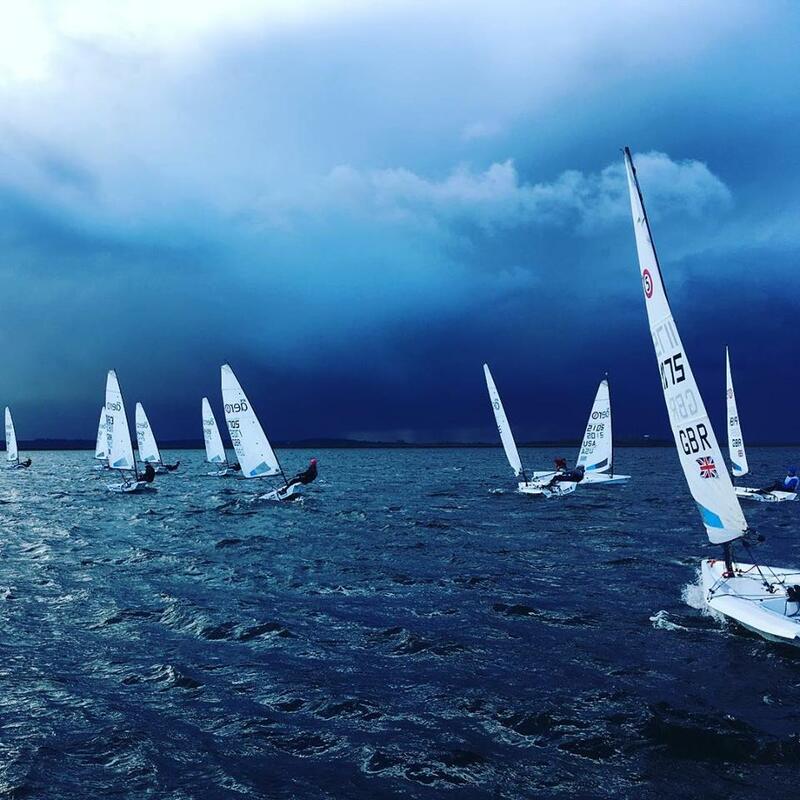 The focus was on upwind speed control and a slalom downwind with our rudders tied to our main-sheets emphasizing minimal rudder movements. This was a great exercise as it really showed how easy it is to over-steer. 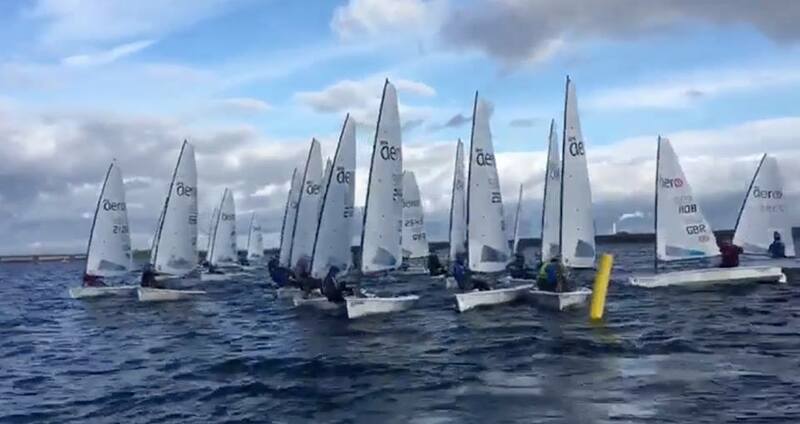 In the meantime many of the RS Aero Youth sailors will be putting their new skills from the winter training programme into practice at this weekend’s RS Aero Winter Championships within The Oxford Blue SailJuice event with an incredible 46 RS Aeros now entered! - 1312 showed good pro-activity. Initially sailing out of a likely OCS situation. Could he have stopped a couple of boat lengths earlier (in front of 2552) to remain able to lay the pin? Then trying to double tack up when he realised he was not laying the pin. Ultimately he got stung from being out of position twice late in the sequence. - 2552 might have had good positioning and won the pin if there had been no other boats there. However with 5 sailors to leeward of him trying to make it work there was always a good chance that someone would take him out. Too much risk for the chance of a little extra reward? Ultimately he suffered a touch of Frost. - Good positioning and holding of position by 2442 and 2725, who just escaped the pin melee. - Great acceleration by 2442, 2725 and 1809 at 0:37, just as the gun went. - 2442 wins the start with 2725, 1809 also up there on his shoulder - just behind due to the line bias but with good speed and lane holding, avoiding falling into a lee-bow effect. - 2105, and likely 1568 too, appear to be OCS, Ladies first! The advanced mid line position that 1312 was seeking to avoid. - 1705, 1108 and 'No Numbers' - need to be instigating their escape strategy as soon as it is clear they are not going to be able to sail off the port end. You need to know how long that takes and plan accordingly. 2545 is the first to bail out and you can see his advantage from doing it before the others.